DR. SHARON FRIED BUCHALTER, Ph.D.
Dr. Sharon Fried Buchalter is a distinguished clinical psychologist, life coach, public speaker, hypnotherapist, advice columnist, and award-winning author. She has extensive experience as a marriage and family therapist, clinical social worker, corporate coach, trainer and development manager, as well as an entrepreneur and inventor. Having worked with clients ranging from celebrities and CEOs to inner-city teenage parents, she has helped people from all walks of life, all over the world, increase their overall happiness and build success in their professional and personal lives. Winner of the iParenting Media Award. Raising children is one of the most important jobs you will ever have… and one that comes without a training manual. First-time parents can feel overwhelmed and often neglect to nurture their relationship with each other while they take the first steps into the transition to parenthood. Using self-coaching strategies particularly appealing to busy couples, New Parents Are People Too outlines new methods to encourage effective communication and relationship building for new parents. Couples will learn how to identify priorities, set and achieve personal goals, gain a positive attitude, overcome conflict, and continue to pursue their individual potential. 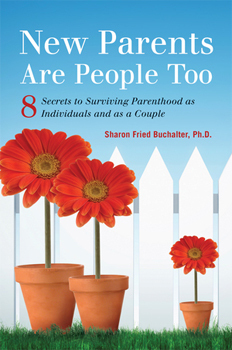 Dr. Sharon Fried Buchalter pulls from experiences in her private practice, workshops, and seminars to provide this simple, hands-on manual for new parents. It is the last parenting/self-help book that you will ever have to read. Dr. Sharon’s fresh thinking and groundbreaking approach to parenting and self-help makes her book unlike any other on the market today. 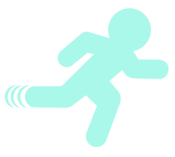 Dr. Sharon uses her extensive background in management and psychology to help families achieve success and happiness. She has developed a unique program with proven results that she has used in her private practice, in her workshops and seminars, and in her work with corporate executives and leadership teams. In this book, Dr. Sharon gives you simple, hands-on solutions that you and your children can use to discover the secrets to happiness and success. She combines real-life examples and interactive tools that will empower you and your children to reach your full potential. Dr. Sharon shows you how to give your children a head start on the road to success. 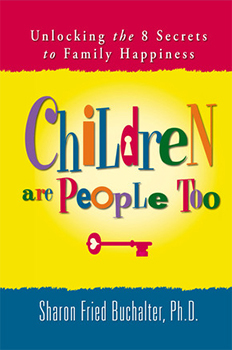 In Children Are People Too, Dr. Sharon unlocks the secrets to a happier child and a happier YOU.